Visva Bharati University Recruitment 2019 - Job notification for Project Fellow Post on a project entitled "Electromagnetic solitons and nonlinear Landau damping in plasmas" in Department of Mathematics, Visva Bharati University, Santiniketan, West Bengal. 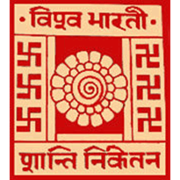 Applications are invited by Visva Bharati University on or before 26 Apr 2019 for 1 vacancy. Siksha Bhavana (Institute of Science), Visva Bharati Santiniketan-731 235, W.B. "Electromagnetic solitons and nonlinear Landau damping in plasmas"
The selection will be on the basis of Interview. Eligible candidates may send their bio data, CV to apmisra@visva-bharati.ac.in on or before 26 Apr 2019, along with self attested copies of all required documents & certificates. Visva Bharati University Recruitment 2019 - Walk in for RF, FA & Other Posts on a project entitled “Bioenergy, Fertiliser and Clean Water from Invasive Aquatic Macrophytes (BEFWAM)” in Visva Bharati University, Santiniketan, West Bengal on Temporary Basis. Candidates are invited by Visva Bharati University to attend walk-in-interview to be held on 27 Apr 2019 at 10:00 AM for 6 vacancies.